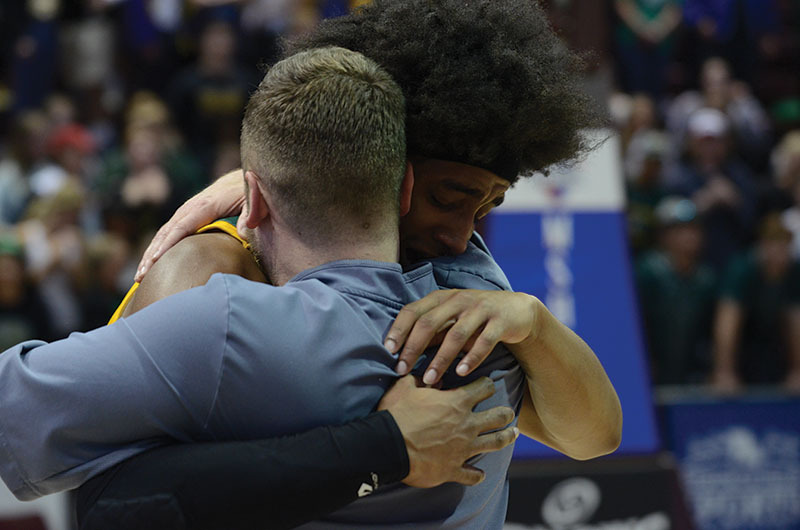 Beating Christian Brothers College (CBC) High School (63-59), the boys’ basketball team won the first boys’ basketball state championship for the school. Saturday, March 16, the Bruins made history. In a press conference after the game, head coach Jim Scanlon and seniors Noah Patrick and Dajuan Harris spoke with the media. Trailing CBC by eight going into the fourth quarter, the final minutes of the game proved crucial. Patrick had two big steals during the fourth quarter. In the first, Patrick jumped the passing lane by the sideline and made a layup in the transition.